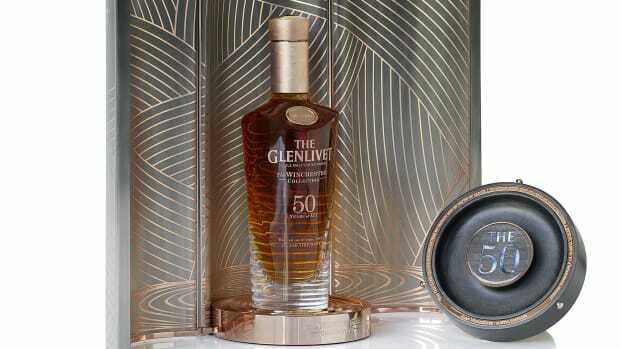 Bowmore is releasing a 27 Year Old Port Cask, the third in its Vintner&apos;s Trilogy line that was announced last fall. 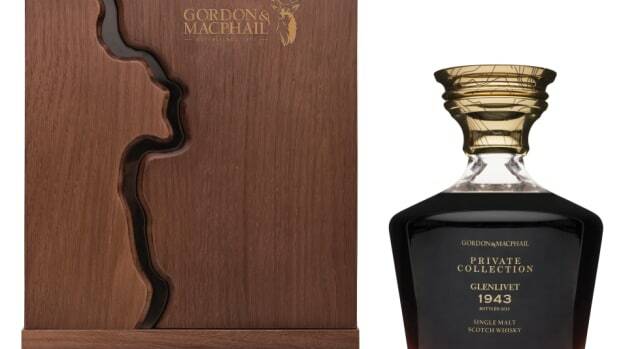 The Scotch is double matured for 13 years in ex-bourbon barrels and then for 14 years in port pipes. 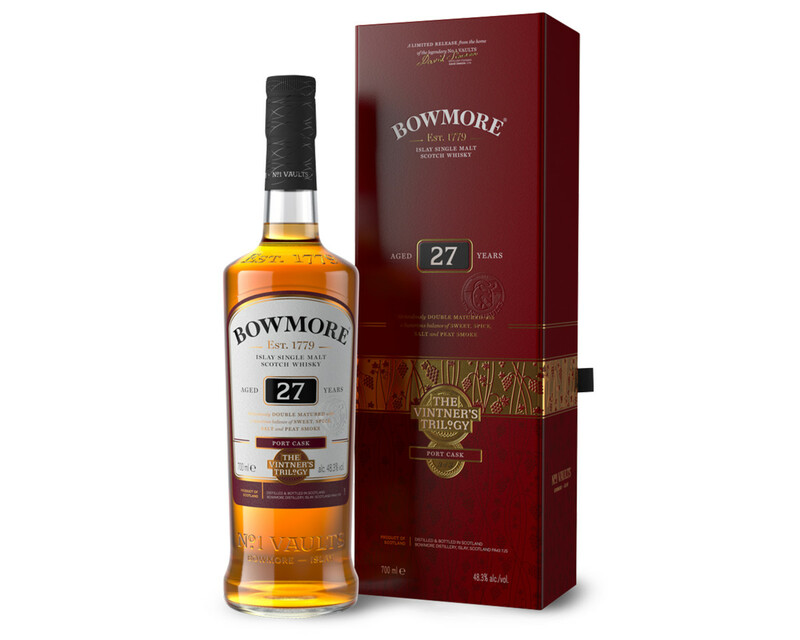 Bowmore&apos;s tasting notes describe the 27 Year Old&apos;s nose: "Peaty and medicinal with a strong toffee, herbal and spicy character followed by heather fragrance with a hint of Rosemary. Old Port wine notes complemented by raspberries coulis and red berries." with a taste that&apos;s "Sweet and salty with a smoky, mixed with sultanas, sugarplums, salted caramel and sweet leathery notes. Pepper and spices with a violet fragrance" and a finish of "earthy carbolic notes, salted dates, dried herbs, sweet tobacco, sweet dried cranberries and a touch of white pepper." 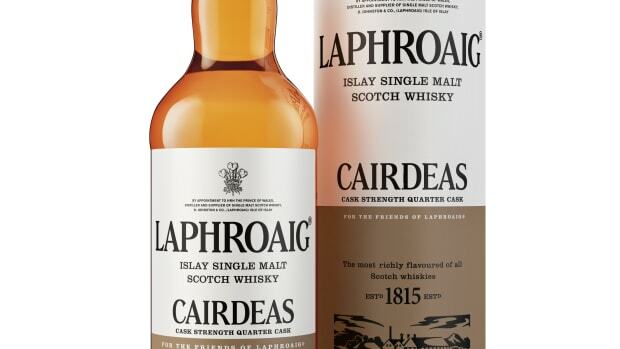 The expression was created for their latest annual Cairdeas whisky.